Today, my kids’ ele­men­tary school is host­ing its third annual Rain­bow Day, a school-wide event designed to teach kids the ben­e­fits (and fun!) 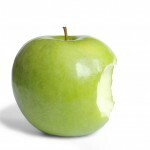 of eat­ing a vari­ety of col­or­ful fruits and veg­gies. Since it started three years ago, it’s been a big hit with chil­dren, teach­ers and par­ents alike. Their favorite part? The Rain­bow Smooth­ies made by a group of vol­un­teers for all stu­dents and staff. The kids love them, and their par­ents are often shocked that they devoured a drink made with spinach, car­rots and fresh fruit. In addi­tion to the smooth­ies, stu­dents get class­room lessons all about eat­ing a rain­bow of fruits and veg­eta­bles. Par­ents are chal­lenged to pack a lunch con­tain­ing all the col­ors of the rain­bow. For kids pur­chas­ing school lunch, the cafe­te­ria puts together a rain­bow salad bar. Each grade is assigned to wear a dif­fer­ent color. Even our school prin­ci­pal gets into the act by wear­ing a rain­bow wig or tie. After read­ing about our school Rain­bow Day, I was con­tacted by Kia Robert­son of the award-winning nutri­tion game Today I Ate a Rain­bow. She wanted to make it easy for edu­ca­tors and par­ents to teach the con­cept of eat­ing from the rain­bow. So, with some help from me, she cre­ated Eat A Rain­bow Project, a web­site filled with free infor­ma­tion, mate­ri­als, down­loads, videos, and links. From rainbow-themed lessons and snacks to books and songs, it’s a one-stop resource for bring­ing col­or­ful food edu­ca­tion to life. Teach­ing kids to eat a rain­bow is a great way to encour­age them to con­sume a vari­ety of col­or­ful fruits and veg­gies ben­e­fi­cial to their health. Eat­ing a rain­bow of nat­u­rally occur­ring col­ors helps ensure that their bod­ies get a broad range of nutri­ents, and is a sim­ple and fun guide­line that can help edu­cate and inspire them to make healthy choices. I hope you love Eat A Rain­bow Project as much as I do. 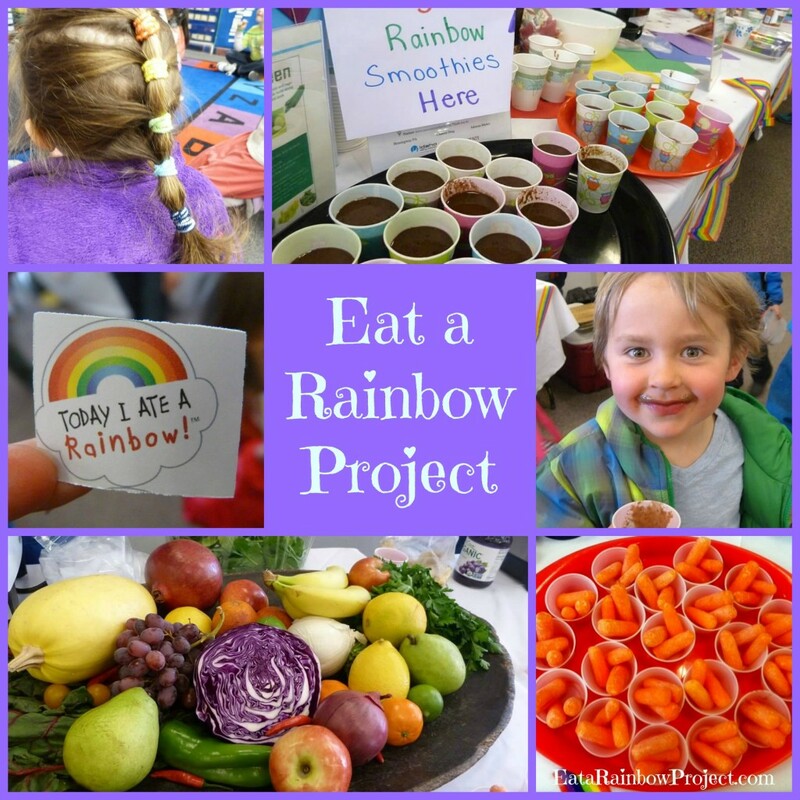 Together, we can get kids eat­ing, feel­ing and learn­ing bet­ter, one rain­bow at a time! 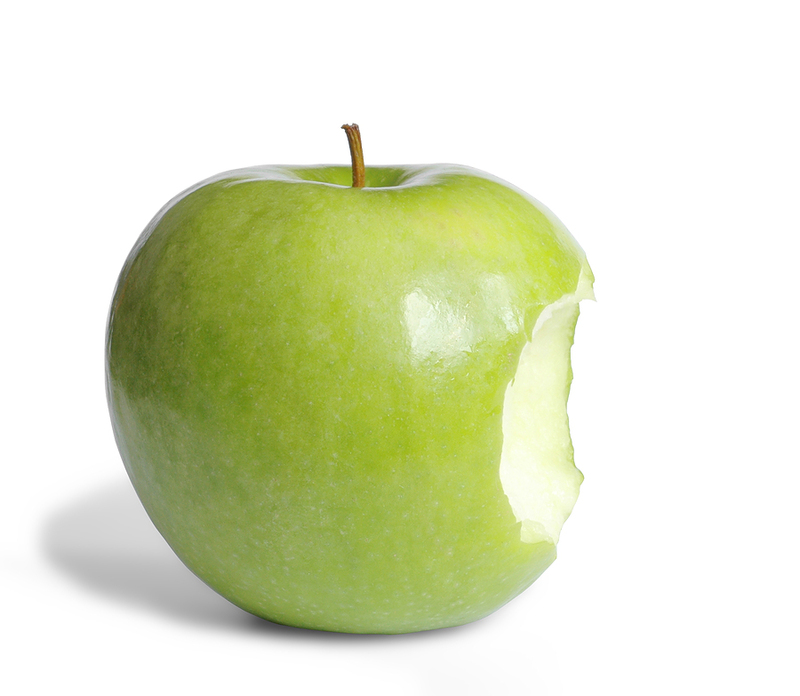 Does your school have a fun way of teach­ing kids about nutri­tion? If so, I’d love to hear! Please share in the com­ments sec­tion below.